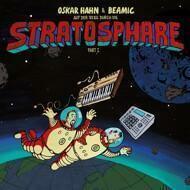 Oskar Hahn is the man for collaborations. After an album with his father on sax, he now teams up with Beamic from Hamburg. The fundamentals are the same: An organic hiphop sound and drums + just the right amount of jazz.